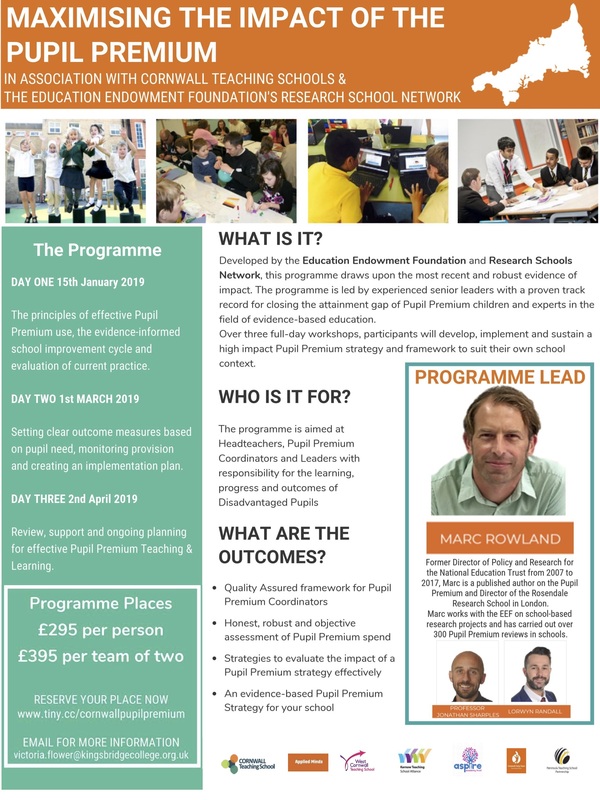 You are welcome to join our newly formed group of PE leads to develop teaching and learning through a focus on evidence based research and discussion. For our initial meeting we are getting together to experience a ‘wow’ moment of inspiration, then discuss how we can use the latest evidence and practice based developments to lead, advocate and innovate in Physical Education, Sports and Physical Activity. You are invited to attend a Trauma Informed Schools Training delivered by Psychotherapist Ellie Baker. -The neuroscience and psychology of child and adolescent mental health and mental ill-health: what every teacher needs to know. -Key skills in responding to and understanding challenging and/or trauma triggered behaviour. This course includes a Level 3 Award accredited by Cornwall College. 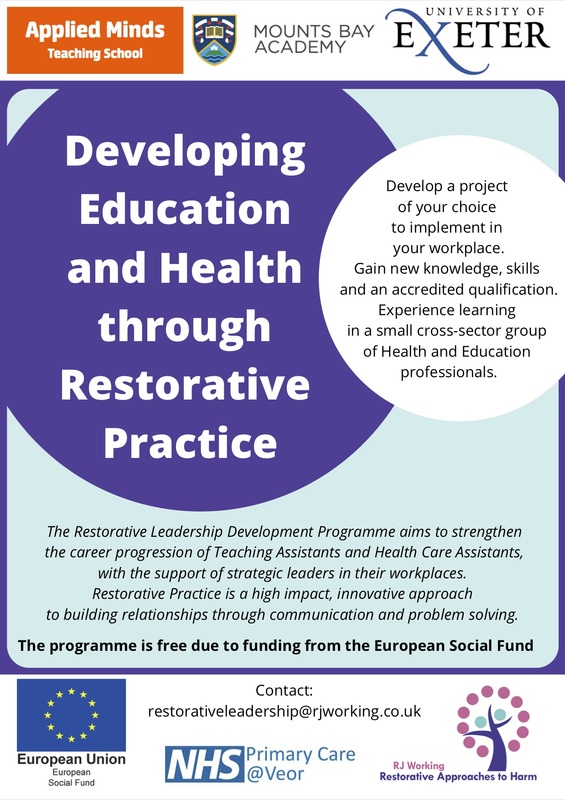 The programme is free due to funding from the European Social Fund. 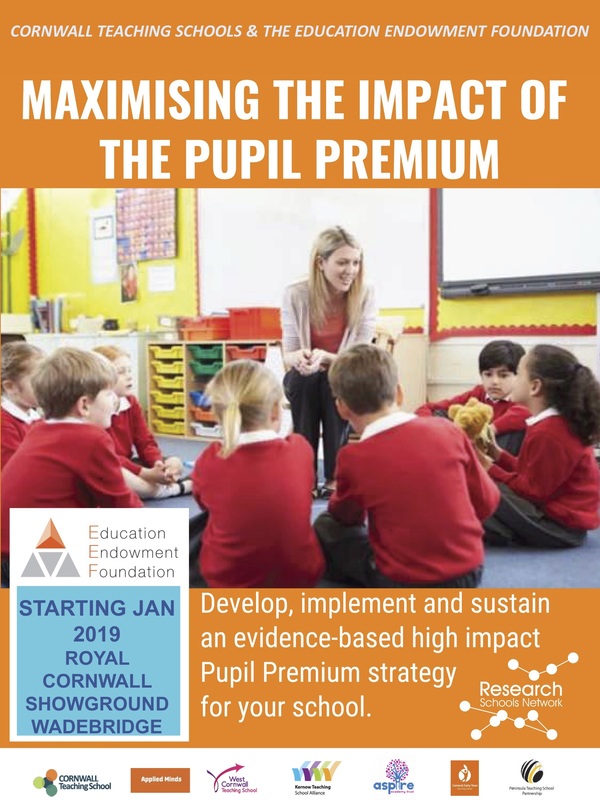 Cohorts starting from January 2019 in Penzance, with the option of further Cohorts in other locations in Cornwall in 2020. A few places left still for this – extra Cohort added. 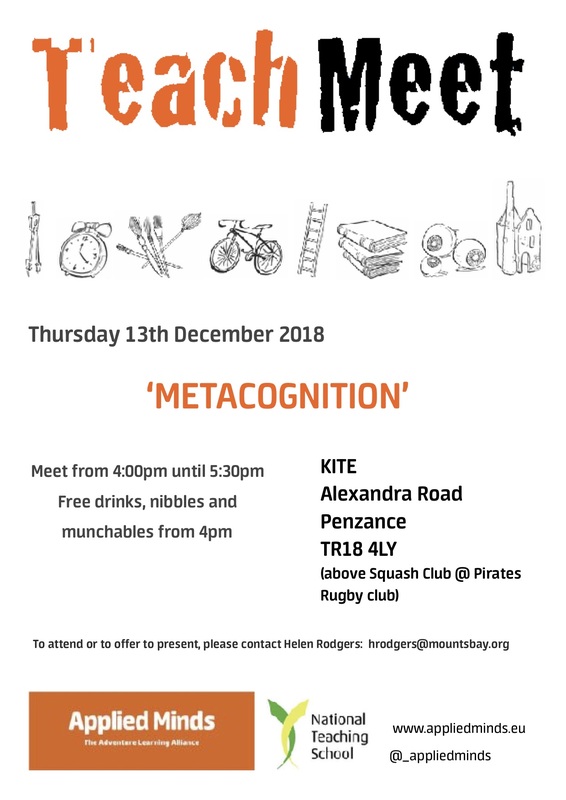 Join us to be part of an evidence informed discussion on Metacognition. We have a great kick starter lined up and then we can hear from others and get the discussion doing. Want to know what Metacognition is and discuss with educational professionals?